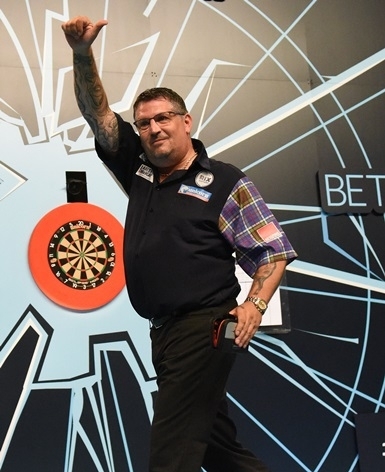 Gary Anderson has reached his first World Matchplay final in Blackpool with a sensational display on Saturday night. He won a thrilling all Unicorn semi-final 17-12 against an inspired Jeffrey de Zwaan but this time ‘The Black Cobra’ bit off more than he could chew. Anderson hit an incredible 16 x 180s and averaged a brilliant 106 and he will face Mensur Suljovic in the Winter Gardens final after the Austrian beat an out-of-sorts Peter Wright 17-13. It was a cracking semi-final between the two Unicorn stars. De Zwaan was terrific again but Gary was extra special. He led 5-3 after a second 11 darter, but back came the young Dutchman with three legs on the spin. He’d started the match with a 122 finish and that gave him bags full of confidence. But after Anderson cracked in a magnificent 10 dart leg to level at seven legs apiece, he put his foot on the accelerator. He broke throw to lead 8-7 and it was a lead he never relinquished. A second 11 darter from De Zwaan kept in him it, only for Anderson to break again for a 12-9 advantage. That 21st leg was crucial because both missed several chances to take it. 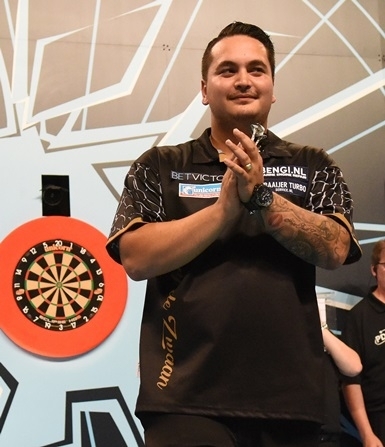 Anderson won four big legs on the spin, producing one of the big moments of the semi-final as he hit yet another maximum and nailed a massive 152 check-out. Then back-to-back 180s and a two dart 100 finish for another 11 darter and he was one away at 16-10. De Zwaan managed to take another couple of legs but Anderson wrapped it up on D5 after just missing D10 for a 140 finish. As Gary said, one more big push is needed!